Digital marketing is no longer a branch of traditional marketing, it’s an entire full-bloomed tree that’s growing – fast. First up, this is a judgement-free zone. So, if you have stumbled across this list feeling unsure of yourself, stop that sort of thinking right now! You probably know more than you think. 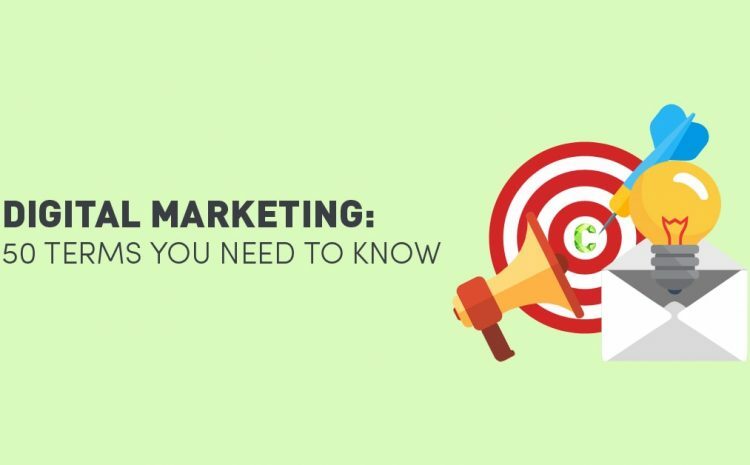 Although 50 digital marketing terms may sound like a huge number, it’s actually not. We really needed to hold back with this list and present the nitty-gritty of the crop. 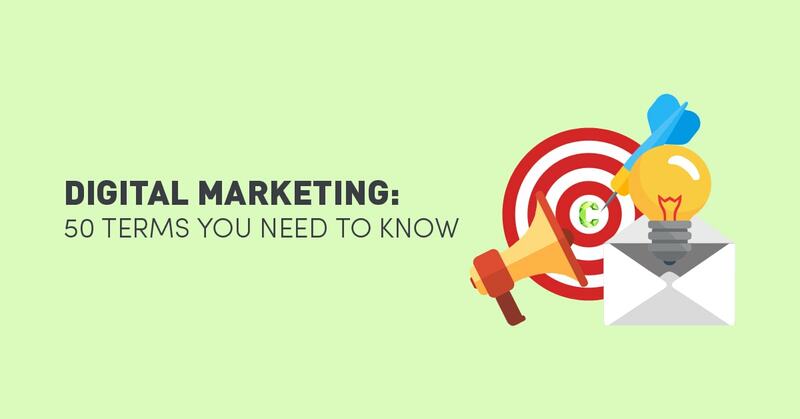 The below glossary defines and deciphers 50 digital marketing terms you need to know. Also referred to as Split Testing, this is a performance tool that tests two variants with a target audience. Ad groups are a collection of different groups for an individual ad, which works to target specific keywords. Google’s online advertising platform that allows marketers to bid on keywords in order to appear in high SERPs following a user-generated search query. A set of rules around and calculations around a computing process. An Application is a programme that is designed to fulfil a specific purpose for the user. A set of procedures, routines, and tools that allow for the build of software and applications. A link that is placed on a webpage, which links to another webpage to help determine and create popularity, as well as SERP ratings. Visual media that appear and are delivered to different audiences through an Ad Service, for example, Google Adwords. A website that is run by an individual or small group of writers who post relevant editorial, written informally. Also referred to as a Robot, Crawler, or Spider, Bots are automated software that runs repetitive tasks on webpages. Content appearing with provocative and overzealous titles, with the intention of attracting the user’s attention. A control management system is a back-end programme that allows administrators to publish, edit, modify, arrange, and delete website content. The verbal and visual communications which make up the body of websites, social media, email newsletters, blogs, and many other marketing activities. The number of visitors who have converted into a sale. The result of a visitor to a webpage transforming into a sale, or fulfilling the brand’s goal. Cost Per Acquisition, also referred to as Conversion Cost, is the calculated monetary cost of acquiring a customer through advertising. Cost Per Click or Pay Per Click (PPC) is an online advertising model that enables advertisers to place advertisements on websites, then pay the website owner, host, or publisher when the ad is clicked. Integrated Marketing Communication is the combined use of both traditional marketing and digital marketing channels to fulfil the communication of a brand. Conversion Rate Optimisation is a group of systems put in place to improve the online marketing communications to increase the number of visitors who visit a site and convert. A Call to Action is a very short persuasive phrased used to instruct and provoke the user to respond. The process of following other users within the same social networking platform, in order to receive their communication updates. A web analytics platform service that tracks and reports website traffic. A tag used on social media platforms to categorise interest areas for search optimization. Hypertext Mark-up Language is a system for creating the structure for font, colour, images, hyperlinks, and other effects on webpages. An influencer is any individual who has a large sway over a target audience. The process of planning a strategy around promoting products or services through a key influencer in the community. A keyword is an indexed word with most significance to a piece of content. A webpage that serves as an entry point to a website or section of a website. Marketing efforts that influence consumer interest. Consumers with a high interest in a brand’s product or service offering. The process of getting external web pages to link to another website, to aid SEO. Words that appear in high search engine result positions, yet have no relevance to the user’s search, are referred to and indexed as ‘Negative Keywords’. The continuous list of friend’s comments, stories, shared articles, and images, which appear on the homepage of a Facebook user’s account. A collection of online activities that allow the management of communication and product placement between business and consumer, make up online PR. Organic Search Engine Optimization is the unpaid, natural placement of a web page on a Search Engine Results Page (SERP). A structure or software that allows users to run or performs specific tasks. The Return on Ad Spend represents the revenue earned from the advertising campaign, divided by the cost of the advertising source. Return On Investment is a performance metric that measures the efficiency of money spent on a marketing resource by evaluating the direct return from related activities. A Rich Site Summary or ‘Really Simple Syndication’ uses a specific format to pull information from blog entries, news headlines, audio, and video and deliver these to a predetermined location on a web page. Search Engine Results Page is the page on which your web page is displayed following a user’s search query. Many websites and social networks have the ‘Share’ CTA, which allows users to promote content to their communities, greatly expanding impressions. The process of using multiple social networking platforms to communicate a brand’s message to their collective communities. A formal document that outlines a company’s policy regarding all communication across their social media accounts. Unsolicited, irrelevant jargon that is sent to online users for the purpose of bait advertising, phishing, or spreading malware. A piece of text that when attributed to a value, creates a category or easy channel to determine findings. A group of linked messages in an online open forum. Any content, such as blogs, images, comments in discussion forums, or posts, that is created by the user and posted to social media websites. Any piece of content that is posted in the online public sphere and shared or circulated at a high frequency due to popularity. A video diary or editorial that is informal and produced for use on social networking platforms, as well as websites. 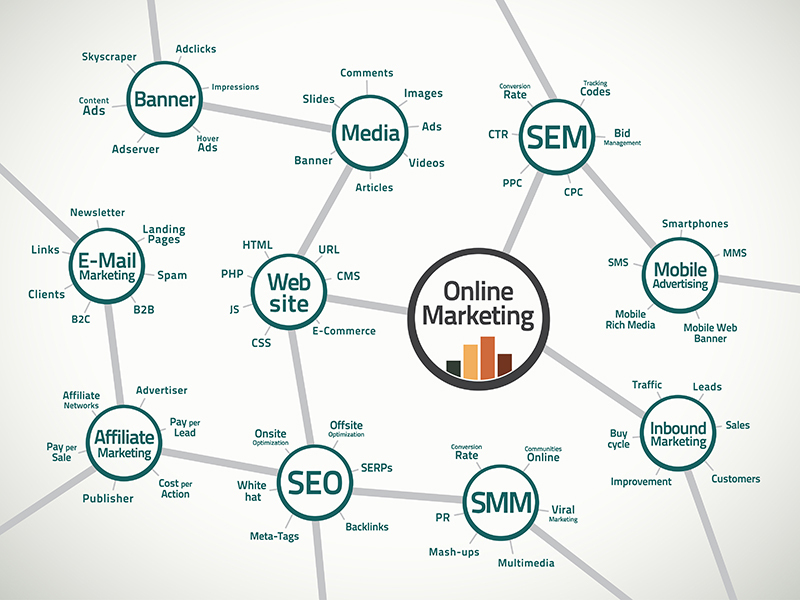 So there you have it, 50 digital marketing terms we’ve put into the ‘need-to-know’ basket. If you think we’ve omitted a fairly important digital term/s, please comment in the box below. Got something to ask us? Drop us a line at www.Contevo.com.au/contact.